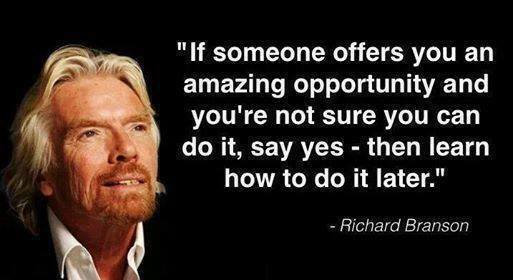 I love this quote from Richard Branson. I love the brashness, the bravery of it. So many times, people get caught up in dithering, in procrastinating and choosing the safe path. And then they wonder why nothing much ever changes for them. A life of boredom and just about surviving. A life of dissatisfaction and feeling tired all the time as all your dreams and hopes are drowned in a sea of realistic thinking. A life of living with a permanent feeling of lack, unable to afford to do the things you would love to do, unable to have any impact on society, and believing less and less in yourself as time goes by. Is that really all you think you were placed on the planet for? All around you are options and yet, you choose to remain stuck in a life, work, business that brings you no joy whatsoever – What is up with that? What could it feel like to become brave? What could it feel like to break free of all the expectations other have for you and just choose to take advantage of opportunities as they arise? and this is a big but! The longer you choose to stay put in your current position, seeking out safety instead of being brave, the harder it is to notice the opportunities all around you. The longer you choose to stay put, the more likely you are to get to the end of life and realise that you lived far, far below what was possible for you. The longer you choose to stay put, the more likely you are to lose all the ‘security’ you think you had when you realise that the only security you ever really had was you. It was YOU daring to learn how to earn, daring to learn how to create a life & business you enjoyed from whatever your starting point was. The most secure place you have is you living as your most evolved self because then you realise that you can cope with anything and there was never anything to be afraid of, at all. Jump on opportunities, Create opportunities. Fight for the life and the business you want. Join me on Saturday, 22nd November 2014 and together, let’s build your business from the ground up or let’s take your business to the next level.. This is an opportunity for you if you will open your eyes to see it. The Warrior ‘Get It Done Already’ Business Launch Day is being held here in Dudley, West Midlands and I am inviting you to come and build out your whole online business, sort out all your offline marketing as well. 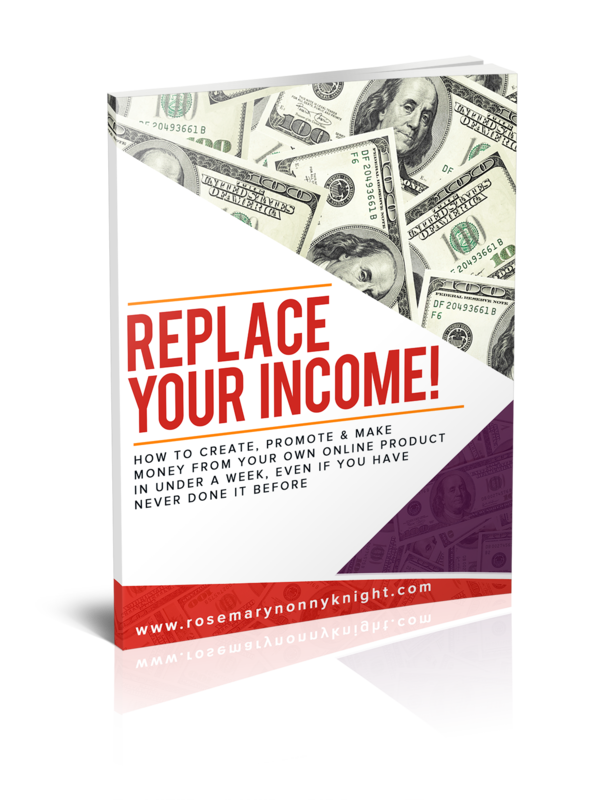 Start immediately to grow your mailing list, to create marketing pieces that further the sale and you could even make money on that day.